The third installment (you can find the first here and the second here) of Rah-rahs Per Minute, TWER’s series focusing on the vinyl (and otherwise-formatted) sounds of Auburn Spirit too long relegated to the rotting Shasta box bulk-bins of our thrift stores and garage sales,﻿ is, like the previous installment, one of… oh… one hundred or so numbers salvaged from the dumpster behind the old WJHO offices (now WANI) in Opelika. 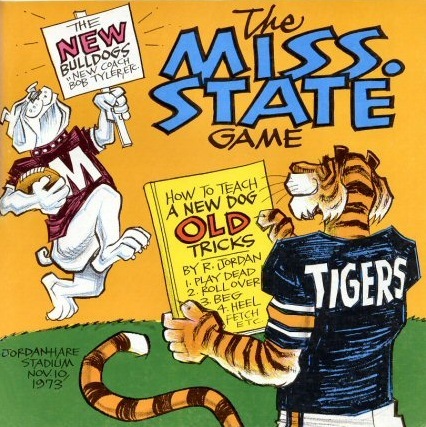 Last week, I said I was certain that, instead of just another generic pre-season jingle, I could find a ditty or two specifically ragging Mississippi State. Well, I found four — all preambles to Auburn victories, and, again, all produced and sung by the prolific Smilin’ Jack Smollon, the Lee County radio legend who’s story and significance we will soon explore (likely during a week that doesn’t feature both a national holiday and a Thursday night game for our Tigers). In the meantime, stock the cooler, grab your vuvezela, and download these suckers to soundtrack what might be the greatest Starkville road trip of all time. 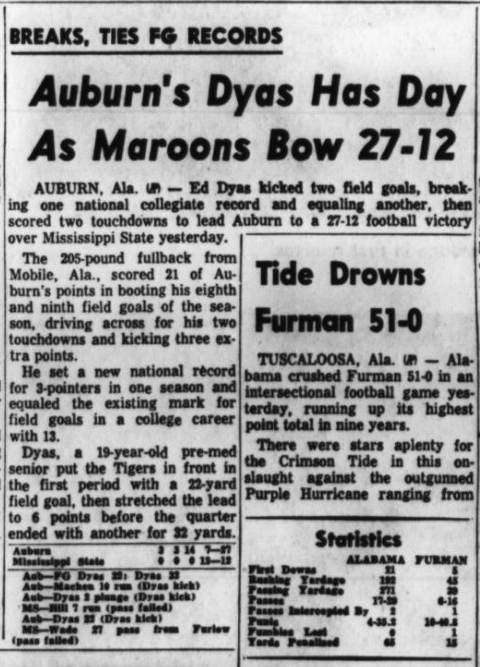 From the Nov. 6, 1960 edition of the St. Petersburg Times. Can’t wait for the Clemson songs. The first song, from 1960, is Perfidia by The Ventures.